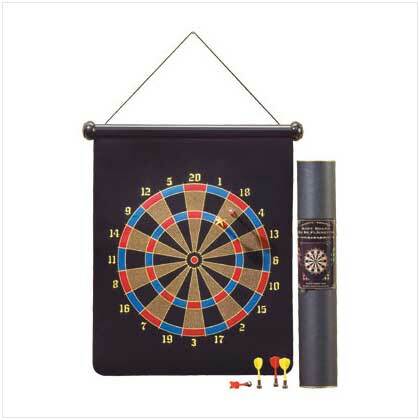 A wide variety of fun games of skill can be played using this safe, magnetic dart board set. Includes 6 magnetic darts. Board constructed of rubber, steel and velvet. 17" x 1 1/2" x 27 1/4" high. Board constructed of rubber, steel and velvet.